Between 1907 and 1917, Lillian Beynon Thomas was one of the most influential women on the Canadian prairies. She developed the Women's Page of the Manitoba Weekly Free Press into a forum for the discussion and debate of many issues affecting the lives of prairie women. Lillian Beynon was born in 1874 in southern Ontario, and at the age of fifteen, moved with her parents to a farm near Hartney. She remained in Hartney until 1896, when she moved with her family to Winnipeg. There she attended Normal School, and went on to teach for nine years in several rural communities. As a teacher she became aware of the isolation, poverty and abuse faced by many farm women, an experience that was to influence her later political life. In 1905 she joined the Manitoba Weekly Free Press, where she became editor of the Women's Page. Her column "Home Loving Hearts" which she wrote under the pseudonym "Lillian Laurie" provided a forum for the discussion of the problems of rural women, and brought the debate about the rights of women to households across the prairies. The letters she published told the stories of women who had been abused and abandoned, and who had no legal right to their farms or custody of their children. She used these columns to lobby for new divorce and child-custody laws, for the protection of unwed mothers, for the property rights of farm women, and for legislation to prohibit the sale of liquor, which she saw as a cause of much of the misery and hardship. Beynon came to prominence as a leader of the suffrage movement. Much like her sister, Francis Marion Beynon, editor of the Women's Page of the Grain Growers Guide, she began to use her columns for the spread of suffragist views and ideas. Together, the Beynon sisters were responsible for changing much rural opinion on the suffrage issue. In 1912, Beynon Thomas (she changed her name on marriage in 1911) joined a number of other educated middle class women, including Nellie McClung, E. Cora Hind, Winona Flett (Mrs. F.J. Dixon), Dr. Mary Crawford, Dr. Amelia Yeomans and her sister in forming the Political Equality League. She was its first president and remained active in the League for six years through the provincial election of 1914, where the Liberal allies of the suffragists were defeated by the Roblin Conservatives. The Roblin government collapsed in scandal towards the end of 1915, and by January of 1916, the Liberal Government of T.ca Norris had passed legislation granting the vote to all Manitoba women. It is all over now, even the shouting. The women of Manitoba are now citizens, persons, human beings, who have groped politically out of the class of criminals, children, idiots and lunatics. 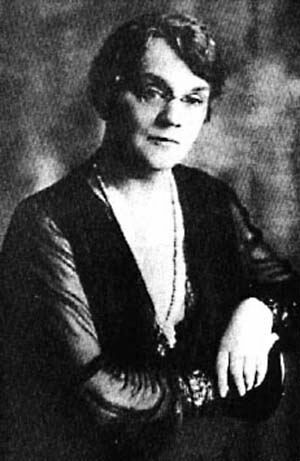 Beynon Thomas moved to New York in 1917, after her husband, A. Vernon Thomas was fired as the legislative reporter of the Free Press for his public opposition to conscription. She returned to Winnipeg in the 1920s, where she established herself as an author, playwright and social commentator. She remained in the province until her death in 1951.